People lose out on thousands of dollars every year because they don’t think they have the leverage to negotiate their salaries. But YOU can learn the skills, strategies, and scripts to negotiate without fear, prove your value to your employer, and get paid what you're worth. In reality, companies are more ready than ever to attract and hold on to talent. But only if their employees ASK FOR IT. Yet, most people still treat negotiation as some long lost secretive art that they will never have the ability to do. Byron Chen has taken his experiences consulting with veterans on career transitions after the military to put together the definitive guide on conducting your own salary negotiation. Barracks To Boardrooms provides the how-to knowledge developed from real world scenarios, hard lessons learned, and contemporary research. Ever wonder why some people get paid more, even when they do the same work as you? How do you negotiate without losing the offer? Can you make demands without negatively affecting your relationship with your company? What’s a reasonable counter offer to make in a negotiation? What tactics are employers using to keep your salary low? All of these concerns are covered in the book, along with a systematic process that includes strategies, scripts, and tactics you can use in any situation. Take control of your career and negotiate the way other professionals do to be compensated at top of the industry rates. You owe it to yourself. Get over your fears, overcome your doubts, and learn the skills you need to get paid what you deserve. Every military service member will experience three phases as he moves from a military career to a life outside the gate: transition, transformation, and integration. The foundation of "Boots" is built upon these three concepts. They provide the structure for the advice and guidelines I want to convey to you. You may experience each of these to different degrees depending on your wishes, circumstances, goals, and surrounding environment. These three stages will vary from individual to individual, and they will be shaped by one’s attitude and inner strength as well as his ability to manage the hurdles of life. From the first day you set foot into boot camp, no matter what service you have been in, until the final days of predeployment training exercises or redeployment, you are taught to always pay attention to every detail in every situation. Our military knows how to turn you on and get you fired up for a mission. Transitioning out of boots will require the same focus on details and the energy to get fired up for your next mission, getting a job. More than a decade of war in God knows where in the world and many of America’s treasure, our young men and women, will come home and be lost when it comes to preparing for their next fight—finding a job! Many will leave the military voluntarily; more than 1.5 million will leave in the next 5-years. Boots gives them a helping hand, a guide, their new field manual that I never had when I retired from the US Army and entered corporate America. Let me help them find their new true north. Your military skills and experience will be invaluable to you in civilian life. But your successful transition won't just happen. You need a network of people who can help you decide where you want to go and then help you get there. Authored by two former U.S. Marines and a world-renowned business consultant, Business Networking for Veterans will teach you everything you need to know to succeed. From start to finish, it focuses on the unique challenges you face as a transitioning veteran and the unique skills and resources you bring to the table. Going back to work after being in the military can be a daunting yet rewarding experience. As a veteran re-entering the workforce or looking to change jobs, you may face a unique set of challenges as you become accustomed to civilian situations, expectations, and demands. Your recent experiences may be very different from those of the average civilian candidate. This is part of your advantage and what sets you apart from other candidates, but it also can contribute to these unique challenges. As you go through the job-interview process, you may need to learn to align yourself with new protocols, environments, and codes of behavior. You may also be learning to adapt to civilian life with certain physical or invisible difficulties, such as hearing loss, that are the result of your military service. 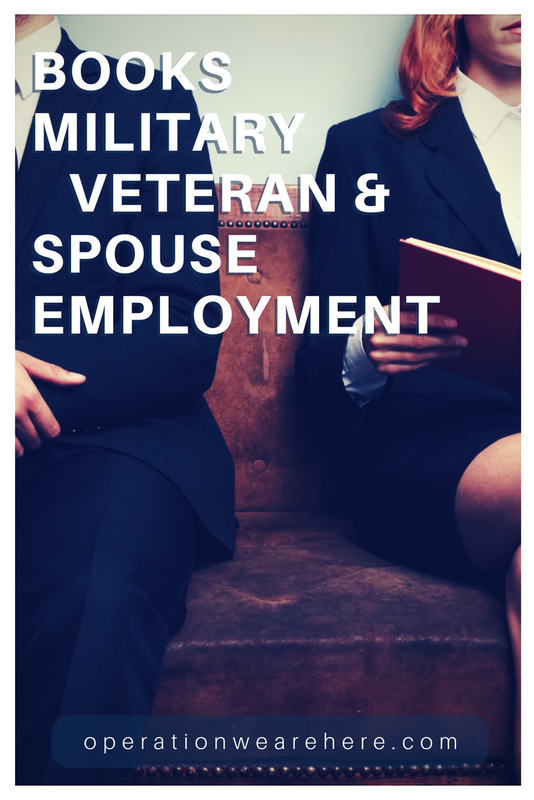 This book reveals the secrets of job search success for military spouses, who face special career challenges because of their mobility. The Jobseeker's Guide is the resource guide used at more than 150 military bases worldwide to teach Kathryn Troutman's highly acclaimed Ten Steps to a Federal Job to military personnel and family members. 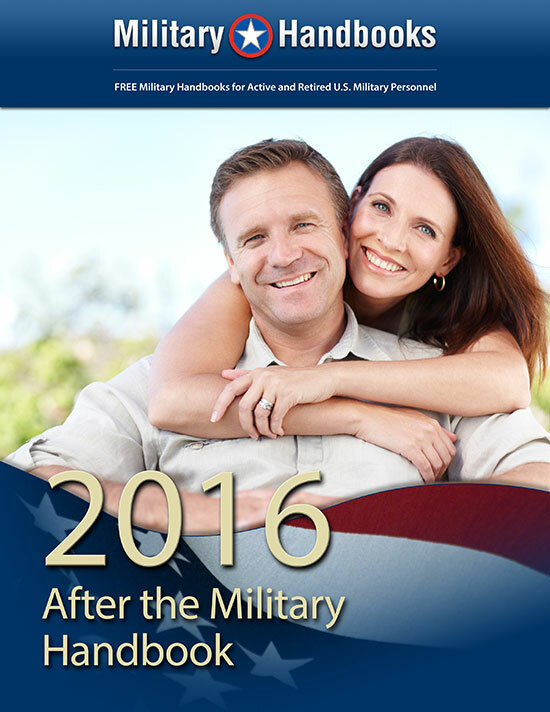 Military Handbooks was launched with one simple goal – to give the military community the very best information available about pay, benefits, retirement planning, education benefits, career decisions, much more! And to provide it to you in a series of straightforward, easy-to-understand handbooks – for FREE! President Obama has created an Executive Order to help veterans start a career in the federal government. The President s Initiative on Employment for Veterans will make a difference for veterans transitioning to the federal government. BUT ... Veterans STILL need a federal resume that will get them at least minimally qualified, and hopefully best qualified. Write a stellar federal resume and get hired into best jobs in America and throughout the world. Get critical resume tips on: how to add keywords to match your federal resume to a particular vacancy announcement; highlighting your accomplishments so that federal human resources specialists will notice them; and interpreting important sections of the vacancy announcement, such as HOW TO APPLY instructions. Includes short, easy-to-read, samples of Military to Federal Resumes in the Outline Format for USAJOBS, CPOL, DONHR, AVUE, Talentlink, and other federal resume builders. Women entrepreneurs - Career military? Leaving the military for civilian life? Either way, you can leverage your experience into some great new business startup ideas. Business success: Are you ready to leverage your experiences into great new opportunities? Help is on the way. Jen Griswold, veteran, CEO, and mentor to over 9,000 entrepreneurs, shares her journey that led to over $20M in annual sales. Whether you are a professional looking to hone your business skills, thinking of launching a new career or side gig, or maybe you are ready to turn your hobby into a profit, this book is for you! Mission Entrepreneur will get you ready to launch your journey towards startup success. 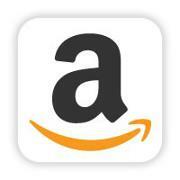 Are you trying to find your niche in our modern world? Navigating how to launch a new business in our mobile and busy lives is a challenge. Fortunately, lessons from military life can help you launch your next great startup, build wealth, and find happiness. In fact, some of the best startup ideas are yet to be discovered. Jen shares her journey of becoming a successful entrepreneur while managing responsibilities as a mom, wife, and veteran. Now, Mission Entrepreneur offers five easy startup ideas and guides you on your journey towards startup and business success! The underemployment problem: As both a spouse and a veteran for 20 years, Jen witnessed countless men and women struggle to keep their careers afloat while managing a family, relocations, and the demands of a busy life. Now, Mission Entrepreneur shares inspiration, resources, and the tools you need to take control of your situation. Female entrepreneurs: Female entrepreneurship saw the biggest increase in the past 20 years. What’s more…4 out of every 10 new entrepreneurs are women (and the growth of female billionaires is outpacing that of male billionaires)! What’s stopping you? Using a lifetime of experience and lessons from military life, Jen inspires women to manage the bumpy journey to become successful entrepreneurs and shares tips to get started. Whether you are a mom, spouse, CEO….Women know what they want and they’re going for it! You can too! ​After completing military service, veterans can have a difficult time finding employment upon returning to civilian life. Out of Uniform is designed to help all transitioning military personnel, regardless of service, branch, rank, rating, time in service, time in grade, or specialty. Although all service members share many common denominators, each individual brings something unique to the job market. The parameters of the search may vary, but the target is the same―land the right job the first time. The information in this book will enhance the odds of hitting that target.This book is divided into eight sections, covering matters in roughly the same order that they occur in the military-to-civilian transition process. Another useful feature is the KeyWord Index, which allows the reader to locate specific information throughout the book, regardless of the part or chapter. In addition to all of the technical guidance, readers will also discover important information in the anecdotes based on actual experiences of soldiers, sailors, airmen, and Marines. Out of Uniform is an invaluable resource for veterans who want to make the most out of their civilian career opportunities. PCS to Corporate America: From Military Tactics to Corporate Interviewing Strategy is both a workbook and a reference book for any junior military officer who is considering a permanent change of station (PCS) to the business world. Written by Roger Cameron, a leading authority on preparing JMOs for a successful transition to corporate America and the cofounder of the recruiting firm Cameron-Brooks Inc., this best-selling resource guides candidates through each stage of the job search—from making an application to accepting an offer, with emphasis on mission-critical preparation for the initial and follow-up interviews. Cameron discusses the wide array of questions you can expect in an interview and gives readers the tools and techniques to develop excellent responses based on a self-assessment of your abilities and accomplishments. Most importantly, he provides confidence-building exercises to help you understand the value of your military experience in a corporate setting. The author also offers ideas for adapting individual’s unique military background to a company’s culture and requirements. In addition to a reading list that provides a sound knowledge of basic business concepts, the book contains a wealth of practical tips for writing an effective resume, dressing appropriately, establishing rapport with the recruiter, conveying problem-solving and leadership skills, and much more—while avoiding the many pitfalls that can result in a negative impression. This edition of PCS to Corporate America, written with the assistance of Cameron-Brooks team members Chuck Alvarez and Joel Junker, has been updated to reflect the current business and military environments. The advice in these pages will not only prepare you for a new future in corporate America but also foster your professional growth as you advance in your business career. Solid advice on all aspects of starting a business, from writing the business plan, to finding customers, to managing costs and turning a profit. U.S. Veterans in the Workforce sheds light on the American heroes who come home to new heroic endeavors―the ones that make America worth fighting for. Your Next Mission provides insight, tools, confidence, and competitive advantage for the veterans’ next chapter in their lives. Author Lida Citroën offers numerous exercises, examples and scenarios for veterans to learn to promote their value on social networking; through in person networking, image and body language; and in the development of their core messages, including their elevator pitch.